Whether you're headed to a convention or just need to keep ID at the ready for work, do it with a fun lanyard! 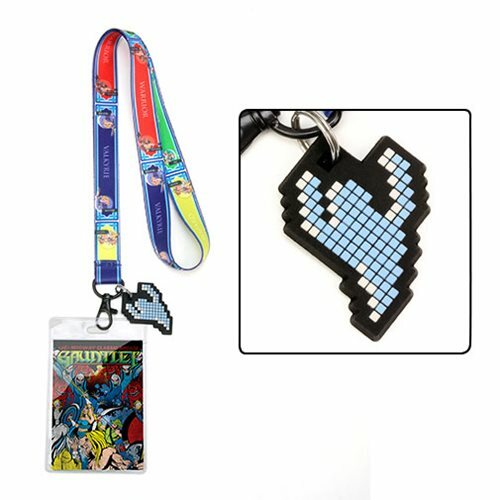 Boast some old school gamer credibility with this Midway Games Gauntlet Lanyard. It includes a PVC Charm and a clear ID holder with a printed insert. The lanyard strap measures approximately 17-inches long x 3/4-inches wide.